273 Commonwealth is located on the north side of Commonwealth, between Fairfield and Gloucester, with 269 Commonwealth to the east and 17 Gloucester to the west. 273 Commonwealth was designed by Hartwell and Richardson, architects, and built ca. 1891 by Norcross Brothers, builders, for leather dealer Thomas Emerson Proctor. 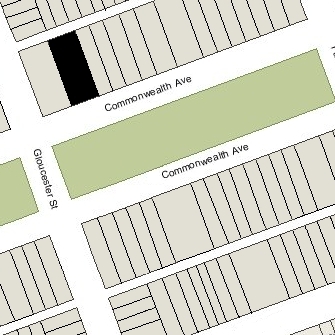 Thomas Proctor purchased the 52 foot wide lot for 273 Commonwealth on August 11, 1890, from Susan Burley (Howes) Cabot of Beverly, the widow of Joseph Sebastian Cabot. The land had changed hands several times and originally was part of one of several parcels purchased on January 29, 1866, from the Boston Water Power Company by a real estate investment trust formed by John Templeman Coolidge, Franklin Evans, and Charles Henry Parker. The trust had subsequently subdivided the parcels into lots, which it sold to investors and builders, who then frequently resold the lots to others. Click here for an index to the deeds for 273 Commonwealth. The house was completed by the 1892-1893 winter season and Thomas Proctor and his wife, Emma Esther (Howe) Proctor, made it their home. They previously had lived at 327 Beacon. On September 6, 1893, Thomas Proctor transferred 273 Commonwealth to his nephew, Abel Harrison Proctor, who, on the same day, transferred it to Emma Proctor. Thomas Proctor died in December of 1894. 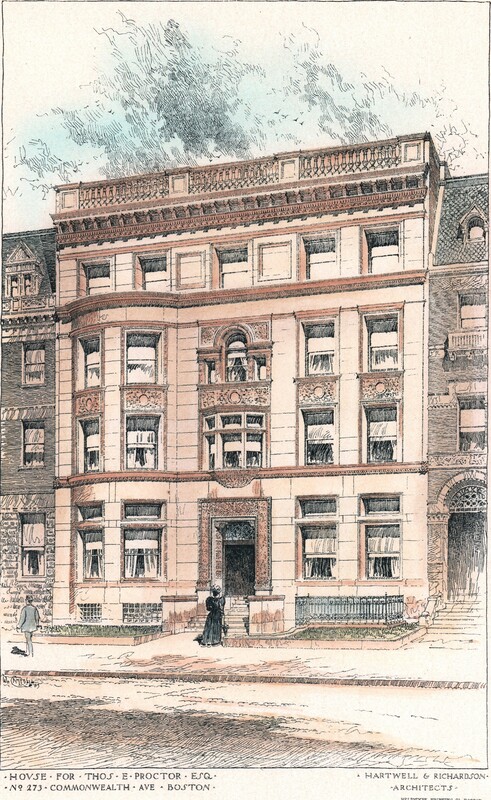 Emma Proctor continued to live at 273 Commonwealth until her death in January of 1910. 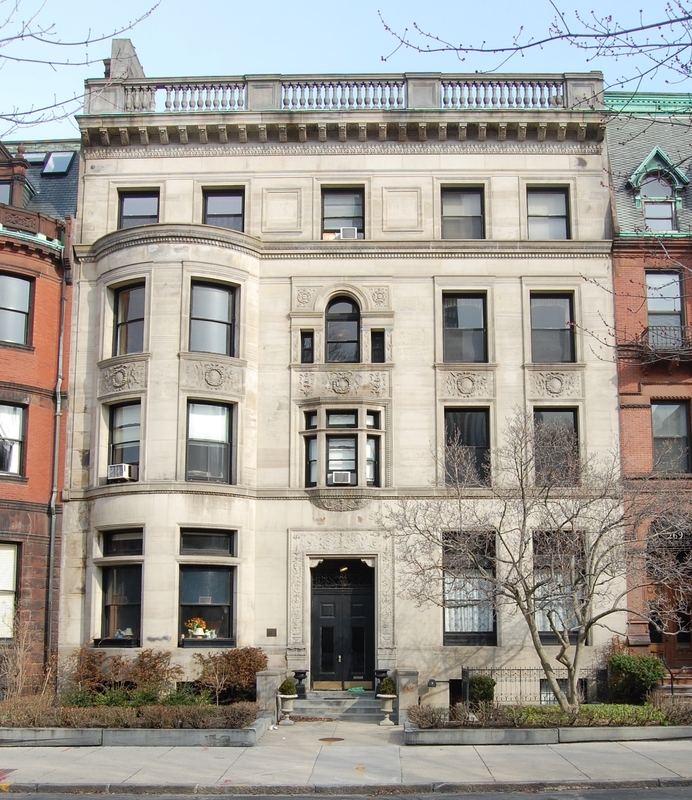 273 Commonwealth was inherited by the Proctors’ son, James Howe Proctor, and by the 1910-1911 winter season, he and his wife, Martha (Mattina) Jackson (Riker) Proctor, had made it their Boston home. They previously had lived in Ipswich, where they continued to maintain a second home. James Proctor was a trustee and president of E. A. Abbott Company, building contractors. Martha Proctor died in October of 1923. 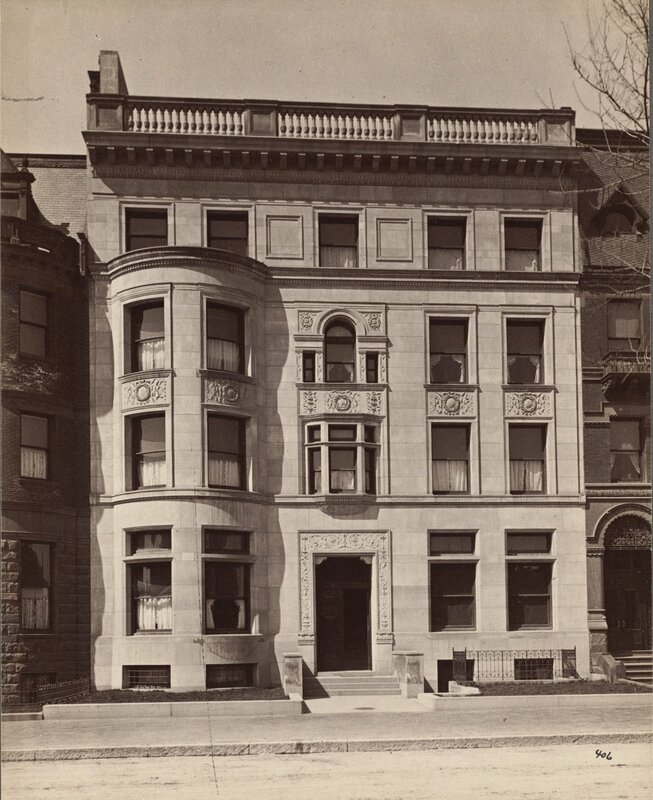 The house was not listed in the 1923 and 1924 Blue Books, but by the 1924-1925 winter season was once again the Boston home of James Proctor and his five children: Thomas Emerson Proctor, II, Mary (Polly) Jackson Proctor, John Riker Proctor, Esther Benedict Proctor, and Martha Proctor. They continued to maintain their home, Mostly Hall, in Ipswich as well. John Riker Proctor married in June of 1925 to Anne Margaret Hall. After their marriage, they lived in an apartment at 100 Beacon. Thomas Proctor married in April of 1926 to Margaret Olivia Flint. 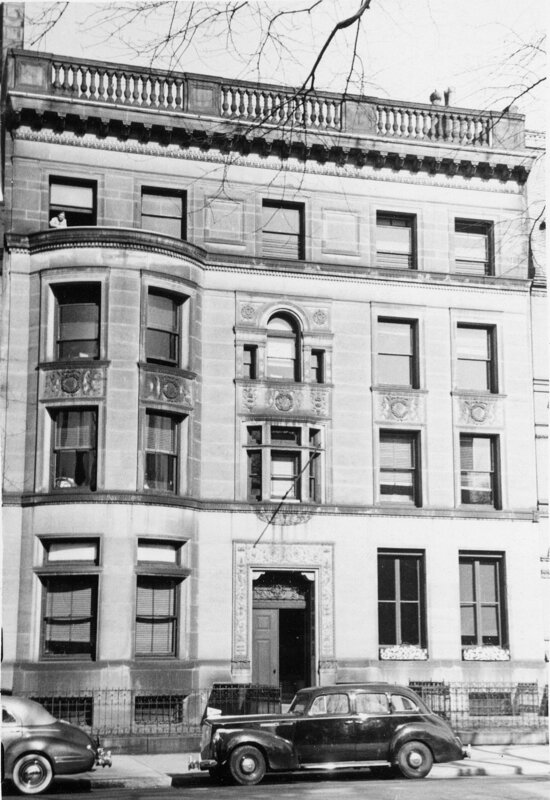 After their marriage, they lived with James Proctor but had moved by the 1928-1929 winter season to an apartment at 192 Commonwealth. He was treasurer of the E. A. Abbott Company (of which his father was the president). Mary Proctor married in June of 1926 to Nathan Crary Shiverick. After their marriage, they lived in Avon, New York. By the 1931-1932 winter season, Thomas and Margaret Proctor were once again living at 273 Commonwealth with his father and sisters, Martha and Esther. They also maintained a home, Foxcroft, in Hamilton, which they made their primary residence in about 1934. Martha Proctor married in January of 1939 to Richard W. Preston and moved elsewhere. James Proctor and his daughter, Esther, continued to live at 273 Commonwealth until about 1940, after which they made their home in Ipswich. The house was shown as vacant in the 1941 City Directory. 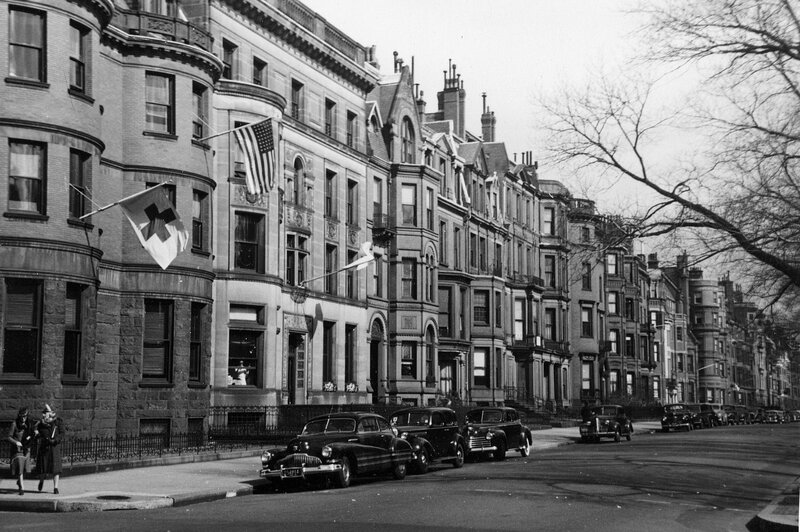 On October 4, 1940, 273 Commonwealth was acquired from James Proctor by the American National Red Cross as an annex to the headquarters of its Boston Metropolitan Chapter at 17 Gloucester, next door. 17 Gloucester and 273 Commonwealth remained the Red Cross headquarters until about 1971. On May 20, 1971, Andrew Shenk acquired 273 Commonwealth and 17 Gloucester from the American National Red Cross and the A. C. Ratshesky Foundation (which had donated 17 Gloucester to the Red Cross for its use). In December of 1971, the Red Cross applied for permission to convert the property into a professional school (the Juliet Gibson School), two apartments, and a dormitory. The application was denied and the Red Cross’s appeal was dismissed. On September 12, 1972, Charlotte Goodman took possession of 273 Commonwealth and 17 Gloucester through foreclosure of her mortgage to Andrew Shenk, and on September 27, 1972, she sold both properties to Richard George and Mitchell George. They subsequently converted 273 Commonwealth into twelve apartments and 17 Gloucester into eleven apartments. In December of 1975, they entered into a mortgage on 17 Gloucester which was foreclosed in June of 1976. Richard George and Mitchell George retained 273 Commonwealth and on September 7, 1978, they converted it into twelve condominium units, the 273 Commonwealth Condominium.